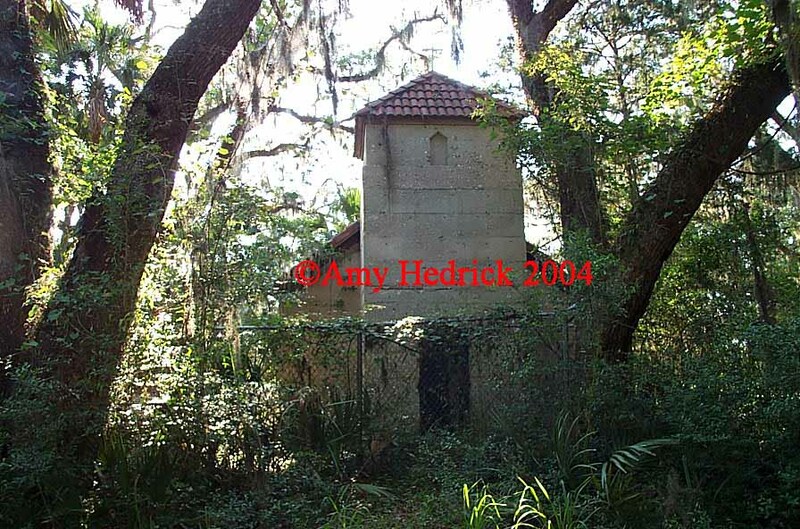 Shrouded in mystery and horror stories, this small chapel located on the northwest corner of St. Simons Island, has had numerous stories attached to it, most untrue and unfounded. While growing up I was told many tales of this small chapel that had "Satanic" overtones. Stories that would chill the soul. I was grossly misinformed, but as a child you want to believe these colorful stories, after all, if you were to visit this small chapel, you could see how easy you would fall prey to them. Pink Chapel is set off the side of a drive way, with a potential marsh view, covered in vines and overgrowth, looks like something straight out of a horror movie. To those who are not "in tune" with the spirit world, you would not understand the feeling you get when standing near this chapel. For many years I had a feeling of uneasiness, of turmoil, and heartbreak when I stood near the chapel, and until recently, I believed the stories I was told as a youth. Now that I know the truth, I realize that my feelings were not entirely unfounded. As is the case with all kids, and abandoned churches or cemeteries, tales of devil worship abound, and Pink Chapel has not escaped the stories. Originally I was told that this chapel was built just for that purpose. However, I knew better, no one in their right mind would build such a place during the 19th century in such a small community. Unfortunately, in later years, it was the site to many desecrations of the "Satanic" type, by local kids thinking it was just the place to do these things. Kids who believed that something sinister really did happen there. The next story I heard was how the chapel got its name of Pink Chapel. It is really quite gruesome, and horrifying upon reflection, but when a child, you just don't put it together with human suffering. Supposedly, when the slaves of the plantation had misbehaved and were to be punished, they were brought to the Chapel to be whipped at the front door. Their blood stained the walls and door, giving it the pink tint, hence the name Pink Chapel. But none of these stories ring true, nor hold water. Are you ready for the truth? The truth is, Pink Chapel was built out of hatred, hatred for another family, for a murder at the hands of the other. 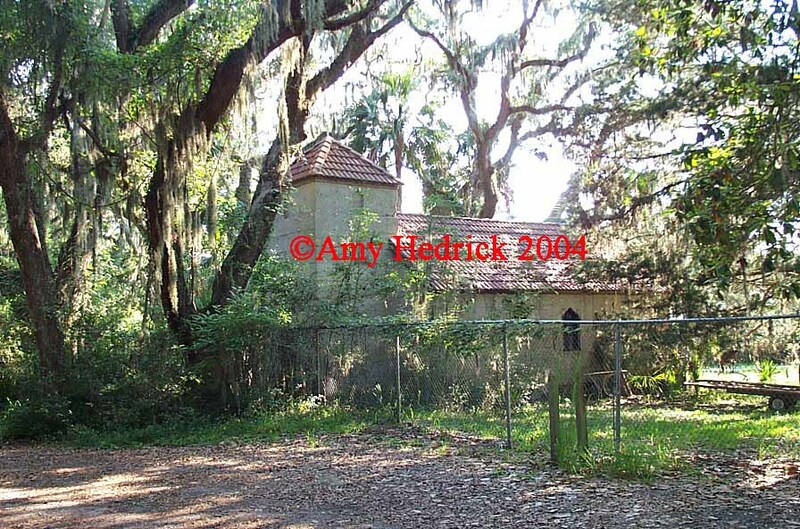 Pink Chapel is located on what was once West Point Plantation, owned by the Hazzard family. William Wigg [Whigg] Hazzard owned this land, and his brother Thomas owned Pike's Bluff right next door. Around 1838, a dispute erupted between the Hazzards and the Wylly family over a property line separating their lands. Name calling, back biting, public embarrassments, and the lot resulted in the southern tradition of solving ones problems, the duel, only Wylly wasn't ready for this duel. Thomas and John Armstrong Wylly were called to a meeting in Brunswick with other St. Simons planters, by the end of the meeting young Wylly was fatally shot in cold blood for remarks that transpired during the meeting. Thomas was later acquitted of all wrongdoing, and life resumed as normal on the small island, except for one small detail. These neighbors, of course, could no longer remain friendly, and the bitterness swelled, so much that each family used a separate gate when attending services at the Christ Church. Eventually, the Hazzard family tired of this charade, there was too much tension and ominous looks between the families at church, a place of peace and forgiveness. The Wyllys obviously could not forgive the Hazzards for the death of one of their own, and why should they? So, in order to defray the tension, Pink Chapel was built. Where did the name come from? It came from over a hundred years of pink lichen growing on the tabby walls. The name Pink Chapel was a modern name for the Chapel. Today, the Chapel has been restored, and is no longer pink.